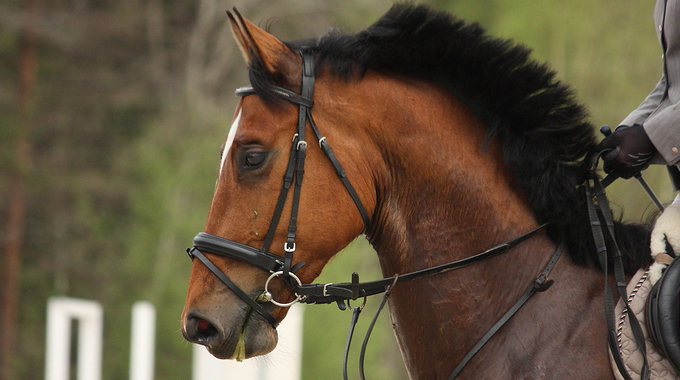 Which Release is Best for Lower Level Hunter and Equitation Classes? I have a question about releases. I was always under the assumption that for non-rated, lower level equitation and hunter classes it was appropriate to do a mane/crest release about halfway up the neck. Even if riders were good enough to do a short release or an automatic release, it would be frowned upon because it would be inappropriate for the level. When the rider is around the 2’6 level, I have them start doing the shorter release at home, but still showing with the crest/mane release halfway up. I only have them start jumping with automatic releases in the jumper classes (if they are good enough to do so) or over 3 foot where appropriate. Could you please tell me if this is congruent with your thoughts on releases, and if different, could you please explain? I agree with you concerning releases. In my own words, at the lower levels, I think the long crest release is appropriate. I think the long crest release with mane is probably more of an exercise for use at home in lessons than for the show ring, although at the very lowest levels I guess it would be considered appropriate. Being a dinosaur, it is my belief that if they are needing to use the mane for their release, they are not yet ready to be horse showing. I don’t think that either the short release, or the automatic release are appropriate until a much higher level. These are for advanced work, in my opinion, and require a rider with very solid basics before they should be incorporated in any type of course work. The intermediary release between the long crest release (halfway up the neck) and the true short release or automatic release, would be the short crest release. This is the same as the long crest release (riders weight on the hands resting on the neck of the horse), except not as far up the neck. Hope this makes sense. Karen Healey and her demonstration riders present the various releases used in the jumping disciplines. 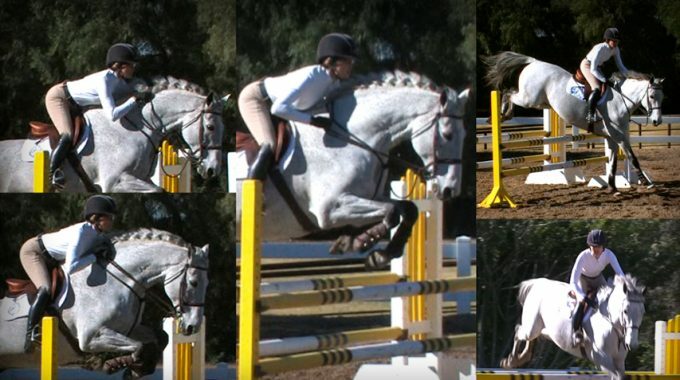 Karen shows us what releases are suitable at the different stages in a rider’s development, from a beginner “reach up and grab mane” release to the most advanced following hand or automatic release. She discusses the advantages certain releases have and some common faults rider’s can make when incorrectly used. The automatic release is an essential skill in every good rider’s toolbox. The use of it promotes a soft elastic connection with the mouth that follows the horse’s neck (bascule) over a jump. Additionally, the automatic release or following arms, illustrates the independence of the rider’s seat and legs. 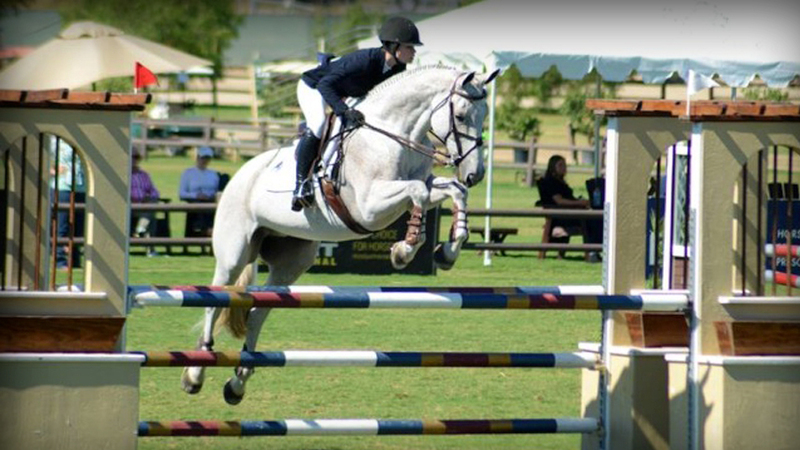 In this topic Jim Hagman, founder and head coach of Elvenstar (one of the West Coast’s most successful show stables), presents his formula for introducing and perfecting this, the most advanced release. Joining Jim as demonstrator is his superstar student, Sydney Hutchins, whose mastery of the automatic release was evident recently during her two giant wins – the 2014 Platinum Performance/USEF Show Jumping Talent Search Finals West and the 2014 ASPCA Maclay Regionals West! 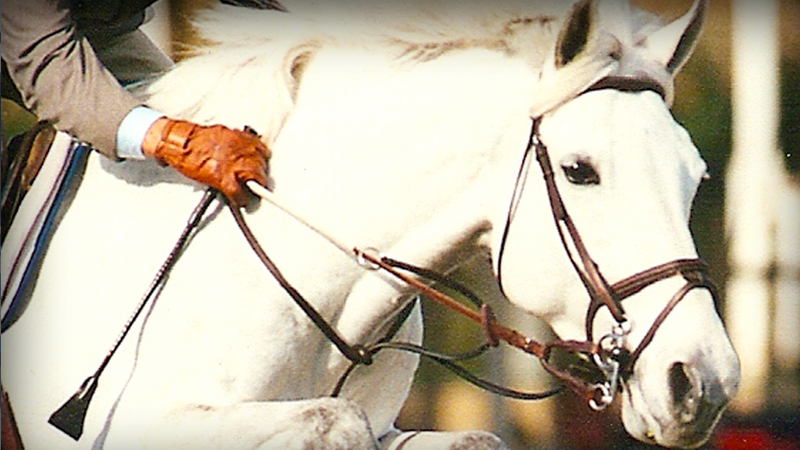 Geoff Teall answers a series of questions from a member on draw reins. 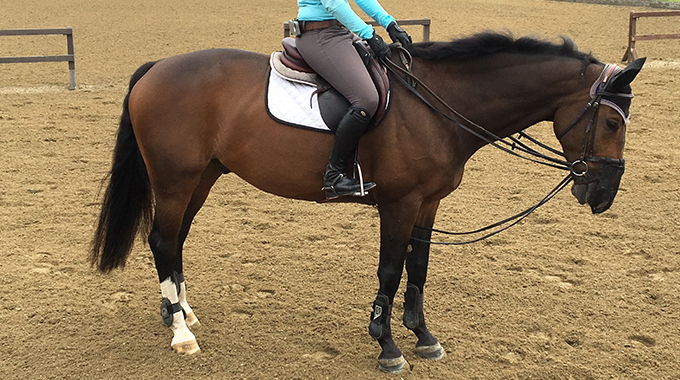 Bernie gives a member advice to help her Thoroughbred who has a quirky mouth and gets hot as soon as she adds rails or jumps to their ride. 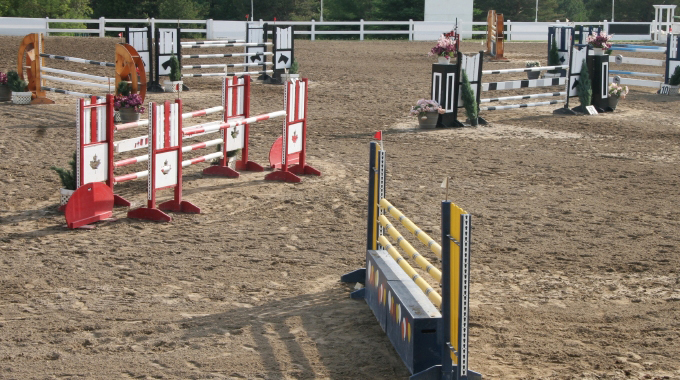 Linda Allen explains how track, pace, and balance are often more important when it comes to finding the right take-off spot to various types of jumps.